Walt Disney Pictures is set to re-release their acclaimed The Lion King in digital cinemas on October 7th, 2011, using 3D technology and IMAX presentation to show off their crown jewel like never before. 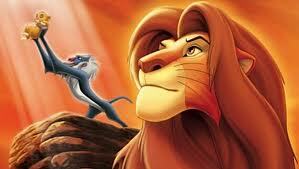 An unforgettable story, breathtaking animation, beloved characters and award-winning music sets the stage for “The Lion King”, a Disney classic that follows the adventures of Simba, the feisty lion cub who “just can’t wait to be king.” But his envious Uncle Scar has plans for his own ascent to the throne, and he forces Simba’s exile from the kingdom. Alone and adrift, Simba soon joins the escapades of a hilarious meerkat named Timon and his warmhearted warthog pal, Pumbaa. Adopting their carefree lifestyle of “Hakuna Matata,” Simba ignores his real responsibilities until he realizes his destiny and returns to the Pride Lands to claim his place in the “Circle of Life.” The all-star vocal talents—including Matthew Broderick, Nathan Lane, Whoopi Goldberg, James Earl Jones, Jeremy Irons, Ernie Sabella, Jonathan Taylor Thomas, Robert Guillaume, Cheech Marin and Moira Kelly—rip-roaring comedy and uplifting messages of courage, loyalty and hope make this a timeless tale for all ages. Originally released in the summer of 1994, The Lion King was the highest grossing film of the year with $783 million in worldwide gross and won the Golden Globe award for Best Picture. Culturally, Simba and his friends were everywhere. Disney took full advantage of the phenomenon by producing toys, dolls, bed sheets, posters, video games, and any other possible type of memorabilia. If they could stamp The Lion King on it and sell it, they did. The film also spawned an animated television show and two straight to DVD sequels. In regards to film history, The Lion King is significant for being the apex of the Disney Animation Renaissance*, which began in 1989 with The Little Mermaid and ended with Pocahontas in 1995. Disney animation has never quite recovered for The Lion King. It’s a hard beast to top. Back in 2009 Disney re-released the first two Toy Story films as a double feature and refitted for 3D, and it looks like Disney was pleased with the turnout. A $5 million investment got them a cool $30 million in ticket sales and re-established the brand, priming the pump for Toy Story 3. It doesn’t hurt Disney’s reputation to remind us how great the company once was, and I won’t lie: I can’t wait to visit the Pride Lands again. *For the curious, there’s an excellent documentary Waking Sleeping Beauty that details the rise and fall of Disney animation that I reviewed at my old gig at MaineCampus.com. If you’re a fan of animation, or Disney in general, I strongly recommend checking it out. Comments for “The Lion King” Returns To Theaters In IMAX 3D are now closed.